Brrrr…. It might be cold outside but it’s warm doing The Extra Mile with your best running friends, so let’s get to it again! Welcome to Episode 132 of The Extra Mile Podcast! Runners NEVER have to look far for things to be thankful for, and as we approach that time of year once again, I’d like each of you to look in the mirror for a few seconds today to see one of the many things I am thankful for this year! Thanks for being the best bunch on virtual running friends a podcaster could ever hope for! Another nice long run episode as we train for those fall races of just get out to enjoy an hour or so with Mother Nature. 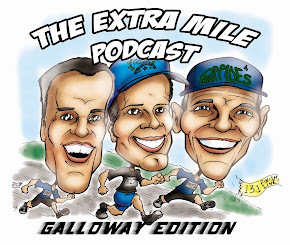 Welcome to Episode 131 of The Extra Mile Podcast! Who doesn’t LOVE FALL?? No doubt if you are a runner you do! Or, are you a jogger? Hmmm.. Maybe something to think about. LOTS of great stuff from old and new Extra Milers! Slide your earbuds in and lets head out the door! Welcome to Episode 129 of The Extra Mile Podcast! Lace’em up people! Those miles aren’t gonna run themselves!! But WE will run them with you! A bit of a “setback” in my training but I WILL keep it in perspective! 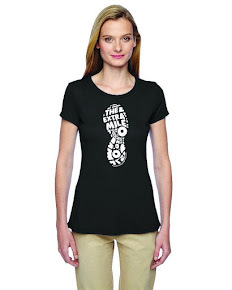 I’ll share the details… again… with all my Extra Miler Friends. As always happens when it’s been a while, another lllooonnnggg episode so lace ’m up and prepare for a Forrest Gump kinda run! I wanted to put some special time into our last submission from Duane cause it deserves it! Check it out and as always… Let me know what you think! We invite your comments, questions, and training updates either in a 1-2 minute audio submission to thegallowayextramile@gmail.com or by calling the comment line at: 206-339-6497. We would love to add your voice to the next episode! Until our next episode, you all enjoy your GALLOWAY Extra Mile. Welcome to Episode 127 of The Extra Mile Podcast! You are gonna LOVE this one.. Just trust me. Get your shoes on and let’s go! You will thank me in a couple of hours! Welcome to another Unnumbered episode of The Extra Mile Podcast! 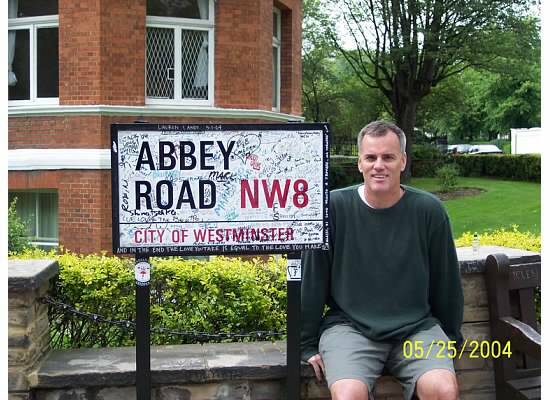 “Why don't we do it in the road”? Just another random run with a random thought about National Running Day this Wednesday, June 4. Have a listen and maybe give some thought of you and I running together on that day!! Welcome to episode 126 of The Extra Mile Podcast! I run with you guys and gals cause you are runners. Listen up to see exactly what I mean by that obvious statement. Welcome to Episode 125 of The Extra Mile Podcast! We are back at it so check out what all of your favorite “virtual” running friends are up to as spring hits! Welcome to another Unnumbered edition of The Extra Mile Podcast! Just you and me out for a little run around the block….. Welcome to episode 124 of The Extra Mile Podcast! The sun is up, the sky is blue, it's beautiful, and so are you. Been a while but listen up and I think you will agree.. well worth the wait! Welcome to episode 123 of The Extra Mile Podcast! Hurry up and download this one before the supply is all gone!!! As soon as everyone listens to this episode, we will be shipping if off to The Extra Mile Podcast HALL OF FAME!!! Good Stuff.. trust me. Mike McCoy and his Ultra Life!! Another few thoughts off the top of my head. CLICK HERE TO JOIN THE PARTY!! Welcome to episode 122 of The Extra Mile Podcast! For fussing and fighting, my friend." If you are at all like me, fellow Extra Milers, you look for your inspiration anywhere you can find it! And I hope the submissions in this episode will be right where to look! !